It's been a Sabbath day in the sweetest way here in Arizona! 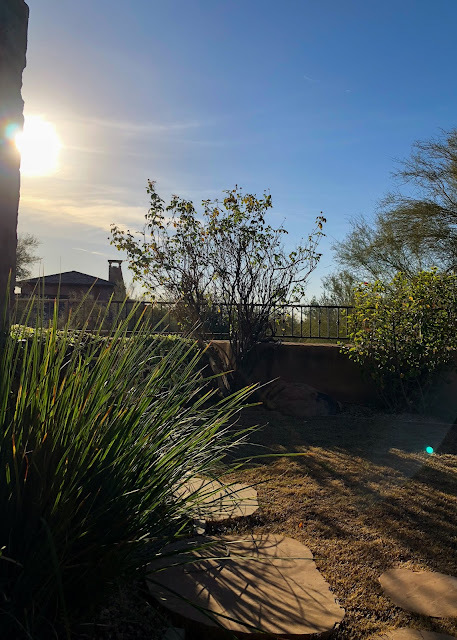 Dave and I are staying at the home of our friends, and it was so peaceful sitting on the patio in the sun this afternoon, just resting in the Lord. There are a lot of things on my mind right now, things that I'm bringing to the Lord and asking his wisdom for. I love that he can handle everything and I don't have to! So after I'd spilled out all my thoughts, concerns, questions and requests, then I just sat in peace in the sun knowing he'd heard everything and was "on it". It was a little bit of glory! Truly the best kind of Sabbath.